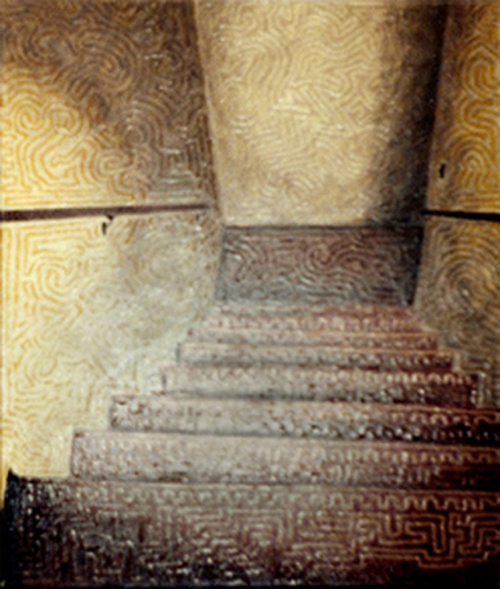 “Stairwell” 16 x 20 in. Acrylic on canvas. Art by Xandriss Sold.